The particular case involves animals with a tracking device. These animals will be monitored by an unmanned drone, which in turn will transmit data to the Agile gateway. This data will then be published closed user groups online. 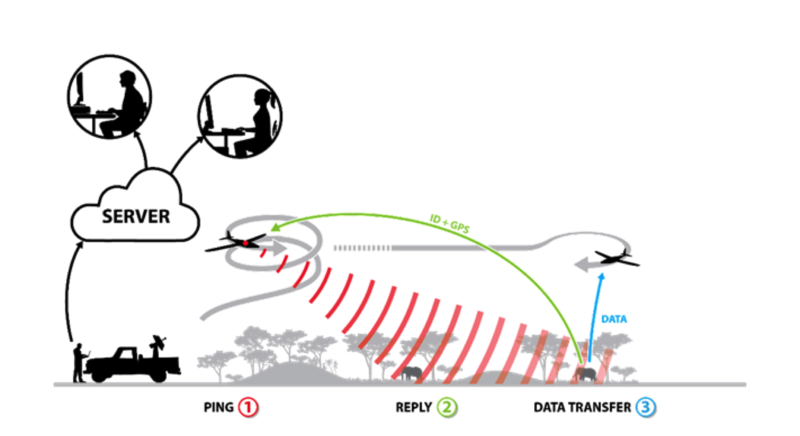 Tracking and monitoring animals can then be done remotely and on various handheld devices or workstations. This allows responsible personnel to act quickly should there be an incident or situation needing intervention. It’s important to note that the gateway will ensure that only authorized people have access to relevant data to prevent any harm to the animals. The system is widely scalable and will be able to cover data input from various sensors scattered over wide areas – all tied together to the Internet using the Agile Gateway. Posted in Pilots and tagged Drone, Monitoring, Open Field, Sky-Watch.